Most people know that the “drug czar” — the director of the White House Office of National Drug Control Policy (ONDCP) — is an advocate for the government position regarding the drug war. But not everyone knows that he and his office are mandated to tell lies as part of their Congressional authorization. Now, let’s take as a simple example, the issue of medical marijuana. If the government finds that marijuana Has “currently accepted medical use in treatment in the United States” or “accepted safety for use of the drug under medical supervision,” then by law, marijuana cannot remain in Schedule 1 of the Controlled Substances Act, which would immediately legalize it for medical purposes. But by law, the drug czar must oppose any attempt to legalize the use (in any form). Therefore, despite the fact that there is extensive evidence of medical marijuana’s safety and effectiveness (including the fact that even the federal government supplies it to patients), and clearly the drug czar would know about all this information, he is required by law to lie about it. ONDCP is specifically charged with the responsibility for “taking such actions as necessary to oppose any attempt to legalize the use” of certain controlled substances such as marijuana —- a responsibility which logically could include the making of advocacy statements in opposition to legalization efforts. 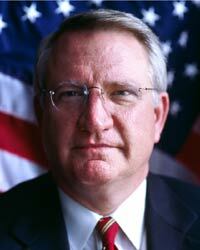 The Deputy Director’s statements about marijuana are thus within the statutory role assigned to ONDCP. Given this role, we do not see a need to examine the accuracy of the Deputy Director’s individual statements in detail. Translation: Since lying is in the job description of the ONDCP, there’s no point in bothering to see whether they’re telling the truth. Keep in mind that this requirement to avoid the truth if it interferes with the mission of the White House Office of National Drug Control Policy is not limited to the current drug czar, Gil Kerlikowske, or most recently, John Walters. Unless the law changes, every future drug czar, even if appointed by a President who solidly supports reform measures, will be constrained by the same job description defined by Congress. Turning this travesty around requires more than the right person for the job. The offending phrases must be struck from the authorizing language (or perhaps a future President will simply not bother to appoint a new czar). Given the frequency that the drug czar is quoted in the press, either much of the media is not aware that he and his staff are required to lie, or they simply feel obligated to print what they say despite the falsehoods. After all, don’t all politicians lie some of the time? Yes, but who else is actually required to do so by law? The ONDCP staff lies all the time (and specific examples abound all over the web), but not all lies are mere simple statements. One of the most noxious lies (and a common type of lie used by drug warriors) is the intent to deceive through the use of conjoined statements. Here’s an example of the last drug czar lying to me in an Ask the White House session. Actually Pete, you’ve got the question exactly backwards. Marijuana is a much bigger part of the American addiction problem than most people – teens or adults – realize. There are now more teens going into treatment for marijuana dependency than for all other drugs combined. Note the combination of the two sentences. Marijuana is a bigger addition problem than we realize — there are more teens going into treatment… This is a specific intent to deceive, since the drug czar knows that the increase of teens in treatment for marijuana has nothing to do with addiction, and everything to do with an increase in governmental referrals. But by placing the two statements together, he attempts to convince me of the lie. But marijuana is far from “harmless” — it is pernicious. Parents are often unaware that today’s marijuana is different from that of a generation ago, with potency levels 10 to 20 times stronger than the marijuana with which they were familiar. Sometimes they’ll talk about “carcinogens.” Same idea. The intent is to deceive — to convince people that marijuana causes cancer — something they know is not true, so they fall back on the deception. The lie. New drug czar Gil Kerlikowske seems not to even bother trying to hide it. It’s almost as though he doesn’t care. Note his comments in California where the fact of marijuana’s medicinal capability is quite fully accepted. Even though the Congressional mandate is a modern touch (as part of the reauthorization bill of 1998), the function of drug czar has a history of deception. 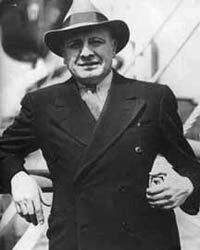 Harry Anslinger, the first Commissioner of the Federal Bureau of Narcotics was the precursor of the modern drug czar (and of the modern lies). 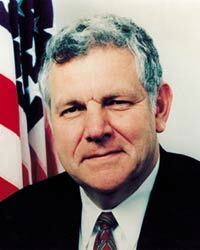 William Bennett, the first “official” drug czar of the ONDCP, served from 1989-1991, and was known for his moralizing about drugs, as well as claiming no medical value for marijuana. 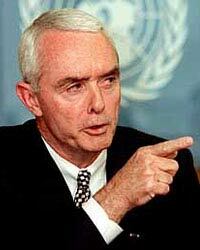 Gen. Barry McCaffrey, appointed by President Clinton, served from 1996-2001, and oversaw the escalation of the war against medical marijuana in California. John Walters served as drug czar from 2001 until 2008. 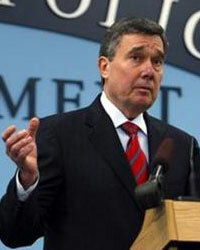 Gil Kerlikowske was named drug czar in 2009.